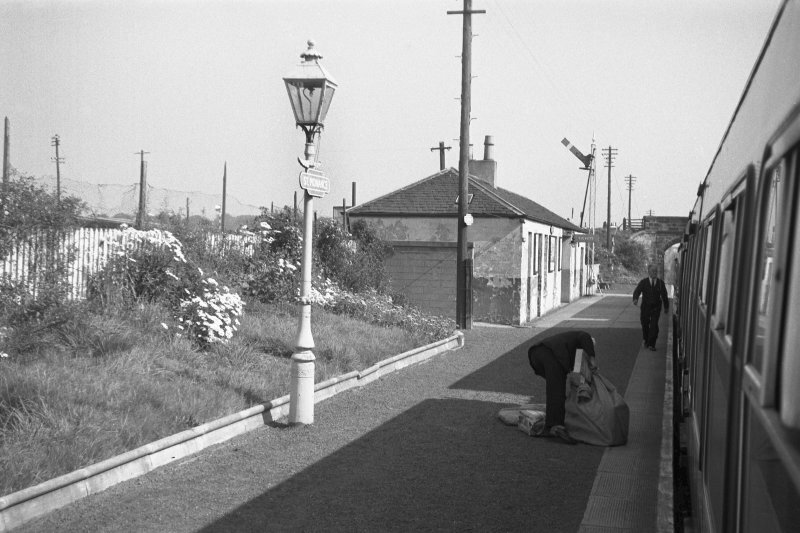 This intermediate station on the Thornton Junction - Leven - Crail - Leuchars Junction ('Fife coast') line of the former North British Railway was opened (as St Monance station) by the Leven and East of Fife Rly on 1 September 1863. It was renamed St Monan's Station by the same company in October 1875 but resumed the original name in February 1936. 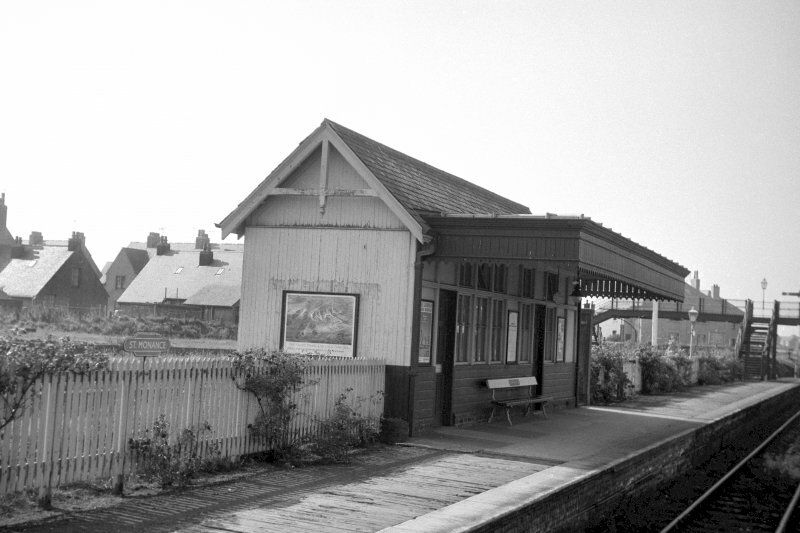 It closed to regular passenger traffic (with the St Andrews - Leven portion of the line) on 6 September 1965. Information from RCAHMS (RJCM), 20 August 2001.